In case you were wondering just why STEM education is so important, here are some numbers to consider: last year, there were more than half a million high-paying tech jobs across the United States that were unfilled. By 2018, the U.S. government expects there will be 2.4 million unfilled STEM jobs. Accordingly, 21st Century educators face an extraordinary challenge. Not only do they need to find new and better ways to spark students’ interest in STEM, but they must also ensure that girls are buying in, as well. Not surprisingly, STEM jobs pay more than non-STEM jobs, so the future economic success of women is at stake, as well. 3. Hannah Herbst, a 15 year-old from Boca Raton, Florida, designed a probe that generates “power and fresh water for developing countries by harvesting it from ocean currents.” She won the 2015 Discovery Education 3M Young Scientist Challenge for her project and earned the title “America’s Top Young Scientist.” She and the other finalists in the competition were paired with scientists at 3M as part of a summer mentoring program. While these girls have gained widespread recognition for their work in STEM, there are plenty more who are following suit, and not just in high school – plenty of girls discover their passion for STEM early on, thanks to hands-on learning opportunities starting as young as Kindergarten. Indeed, girls have a bright future ahead with higher expectations for their participation in STEM fields and more understanding among educators of the factors that will contribute to their success. Girls from St. Joseph’s Academy in Baton Rouge and partners in Bangalore worked together to design and 3D print solar-powered lights. 2. Fourth graders at Chapin School in New York City studied the global water crisis while collaborating in Spanish with partner students in Nicaragua and Honduras. 3. Seventh grade girls at St. Vincent de Paul wrote about their experience building websites about wind, hydro and solar power with partners in Central America. 4. Girls at McGehee School in New Orleans designed 3D printing projects and dissected specimens together with partner students from around the world. 5. 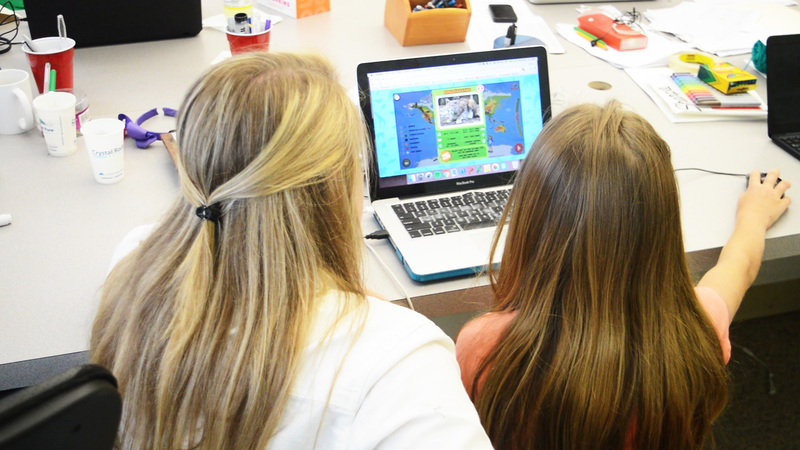 At Kent Place School, girls engineered solutions to dilemmas faced by storybook characters while exchanging video messages with partners across the globe. By offering Level Up Village courses, your school will also give back. A portion of tuition is used to donate the course to one of our global partner organizations To find out more about our global STEAM programs with real-world impact, click here.